Mia St. John, 3-time boxing champion and founder of El Saber es Poder, has developed an innovative, holistic youth development program that directly addresses the most serious health and social challenges facing Latino youth and their families. Chronic physical health issues that greatly impact Latino youth include diabetes, asthma, obesity, juvenile rheumatoid arthritis, chronic obstructive pulmonary disease and mental health issues. Social and cultural issues most impacting Latino youth are healthy peer relationships, life skills, opportunities for cultural expression, problem solving and communication skills and self-care. Spiritual issues include values clarification, purpose and meaning in their lives. 5. Spiritual Development (Values Clarification, Meditation, and Mantras). champions--but instead--to be world champions of life. 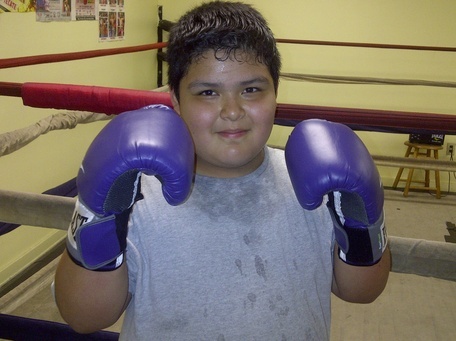 Carlos Lopez is our Champion of the Week! "Congratulations Mia! You took leadership and most importantly made every child feel extremely comfortable with themselves , around others and around you which moved the children to actively participate. These youth had smiles on their faces as they left the room which only means one thing.... You made a positive impact! Good job! I am honored in having an opportunity to be part of your team." 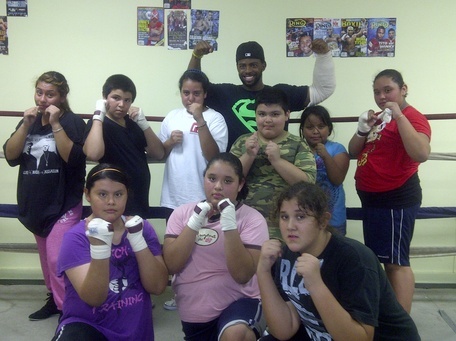 Help us keep our program contributing to the quality of life of latino youth everywhere through your generous support. Visit our Support Us page. Thank you to Golden Boy Promotions for your support!